Hand made in Detroit! 1/4 inch guitar cables and RCA connectors adorn this awesome tie. 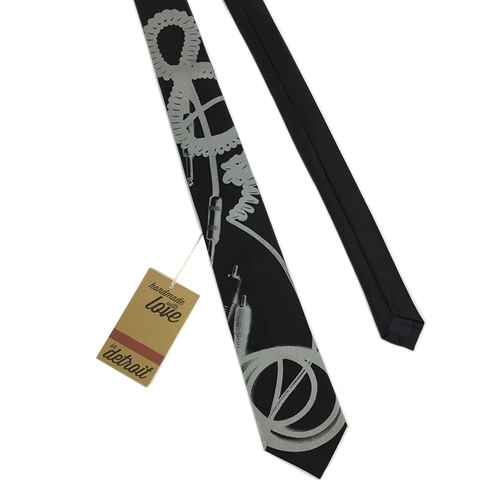 This narrow (2-3/4 inch) neck tie is just right for guitarists, musicians, DJs, band members, and music nerds.